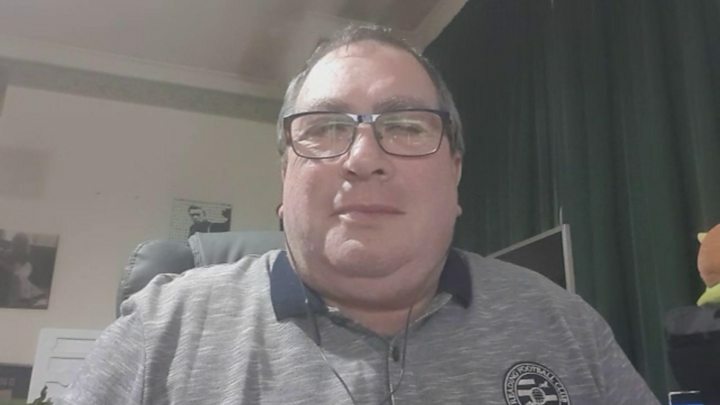 A driving instructor who had his Instagram name taken away and given to Prince Harry and Meghan says he feels "flattered" but also "annoyed". 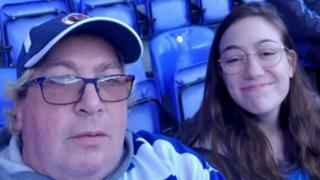 Kevin Keiley had used @sussexroyal for around three years because he supports Reading FC - nicknamed the Royals - and he lives in West Sussex. But he found out Instagram had changed his handle and given his name to the royal couple without asking him. Instagram says his handle was changed because the account was inactive. Kevin, who lives in Worthing, says the first he knew that his name had been given away was when he got a text. "I got a jokey text from my son which said 'Ha ha, I see your handle has gone then'," the 55-year-old tells Radio 1 Newsbeat. Their account was launched on Tuesday and broke a world record for reaching one million followers in the fastest ever time. Instagram confirmed to Newsbeat that Kevin's handle had been changed in line with its policy. It allows it to make changes to an account if it's been inactive for a certain amount of time. Kevin says he hasn't been on Instagram since finding out it changed his name without asking - and he's "annoyed" its people didn't contact him. "I'm a bit loath to use Instagram until I have a chat with them personally." Kevin also has the same name on Twitter - which he's currently managed to hang on to. "I can tell you that Twitter's gone mental. I used to have four followers and in 24 hours I've gone up to about 198," he says. "What I'm trying to do is keep tweeting therefore they can't take it if it's active. I don't know what the royals are planning down the line." So what would Kevin say to Prince Harry and Meghan if he got the chance? "Hello Harry and Meghan. If you do want my Twitter account as well can you at least have the decency to speak to me?" Kevin says his phone hasn't stopped pinging and he's also been receiving rude messages from trolls on Twitter. "I didn't ask for this. I've had the account for years - it's not very pleasant," he says. "We just put up with it don't we? I'm sure famous people put up with it millions of times a day." Kevin says he will probably go back on to Instagram one day but adds: "I don't think I'll be following the royals."